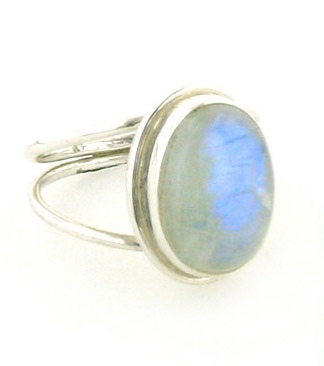 With a moonstone ring, you get several rings in one. Moonstone changes in different light conditions. It can be whitish, electric blue, with rainbow shafts and always with a floating blue light travelling through the stone. 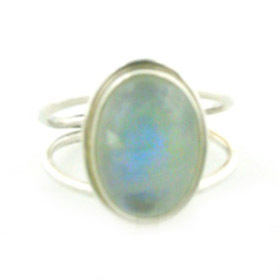 Our moonstone silver rings are rainbow moonstone silver rings. 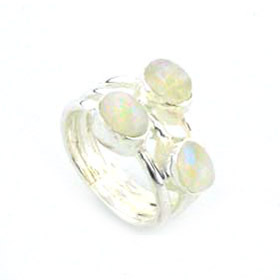 Your rainbow moonstone ring will need oiling periodically to protect the stone. For information about caring for your ring, see our Jewellery Care Guide. 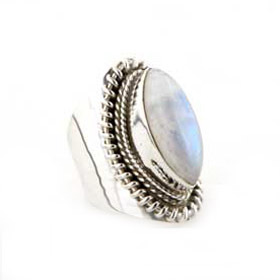 Free delivery on all our sterling silver moonstone rings. 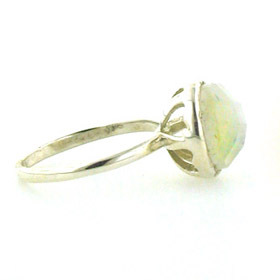 Rainbow moonstone ring with oval stone set into an open sterling silver band.